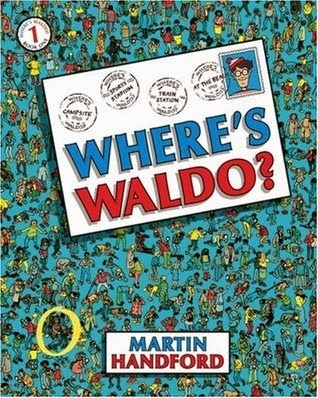 Growing up, I loved the Where's Waldo series of books. We eventually owned all of them and I pored over them for hours, finding not only Waldo, but Wanda, the Wizard Whitebeard, the scroll, the tiny little key, and all the other little "extras". And now I discover this: the optimal search pattern to find Waldo. Reading the headlines or watching the news can lead us to assume that the world is falling apart at the seams and getting worse every day. Whether it's confirmation bias, sensationalized media, lack of context, or just not a big enough sample size, the perception that the entire world is going to hell in a handbasket simply isn't accurate. This article displays 26 charts and maps that show how the world is improving and life is getting better for its inhabitants. Poverty, hunger, child mortality and child labor are at all-time lows. Life expectancies, democracy, education, and literacy are on the rise. These are all really good things! Of course, there is still a lot that is not right with the world, and plenty of room for continued improvement. For example, this photo gallery about inequality broke my heart. The black and white photo of the beautiful, wide-eyed little boy by Giles Duley, as well as Duley's explanation below it, brought tears to my eyes. I think that optimism, based on the actual data that shows the vast improvements that have been made, is healthy. But I also firmly believe that we should educate ourselves to the horrors and tragedies and desperate need that still exist in the world, and then figure out what we can do to ease the very real suffering that is far too easy to ignore. Elder Maxwell pointed out that even the Savior occasionally took time away to recharge before he could serve. Being unselfish is not the same thing as being self-less. If we give everything, we may have nothing left to give. Particularly as women, wives, and mothers, I think we often put ourselves, our needs, our desire for creativity at the very bottom of our priority list. Of course service and our families are important, but if that focus leaves us so empty that we become resentful or joyless, I can't believe that's how God wants us to live. I think we forget—or at least, I do—that one of God’s defining roles was that of Creator. As children of God, that creativity is part of our birthright. The past several months I've stepped back from writing for several reasons, a primary one being there's so much on my plate and not enough time to get everything done! But I've missed it. I've missed getting my thoughts out of my head and onto a screen. After reading this post, I decided to make a concerted effort to get back to writing more. I still have a full plate, but I'm going to carve out a bit more time for my writing. That's my plan, anyway... We'll see how it all plays out!